The more that people rely on mobile computing to consume content and get real work done, the more that mobile devices become the targets of security attacks. 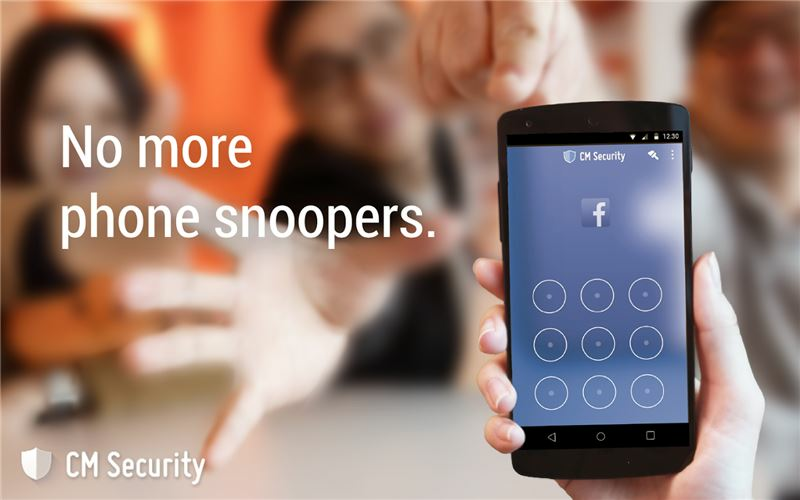 Fortunately, Cheetah Mobile has you covered with CM Security. This app, available at the Google Play Store, has repeatedly been ranked #1 in tests carried out by AV-TEST and AV-Comparatives. CM Security has been downloaded more than 500,000,000 times and has a consistent user rating of 4.7 (out of 5). 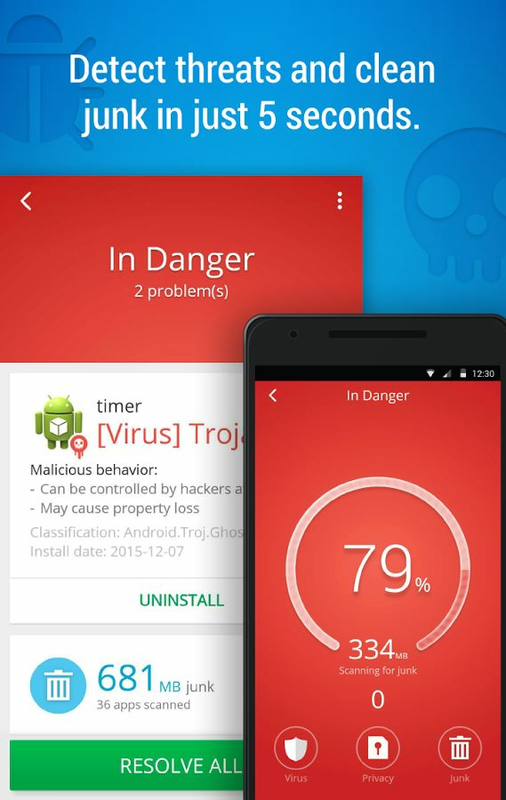 The app supports 26 languages, and it's absolutely free - yet it will scan your mobile device (Android phones and tablets) up to 500% faster than some paid anti-virus scanners. •	AppLock - secures your private data by locking the apps on your device (Facebook, SMS, Contacts, Gallery, etc.) so that only you can see the contents.  This also prevents other people (like children) from buying unwanted apps/games or changing the system settings. 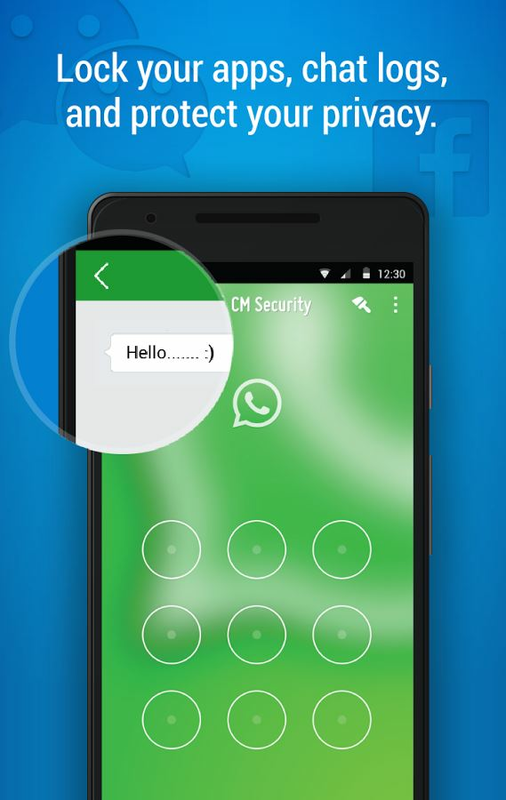 •	AppLock Fingerprint – allows you to lock apps with your fingerprint for even more security (on certain devices). 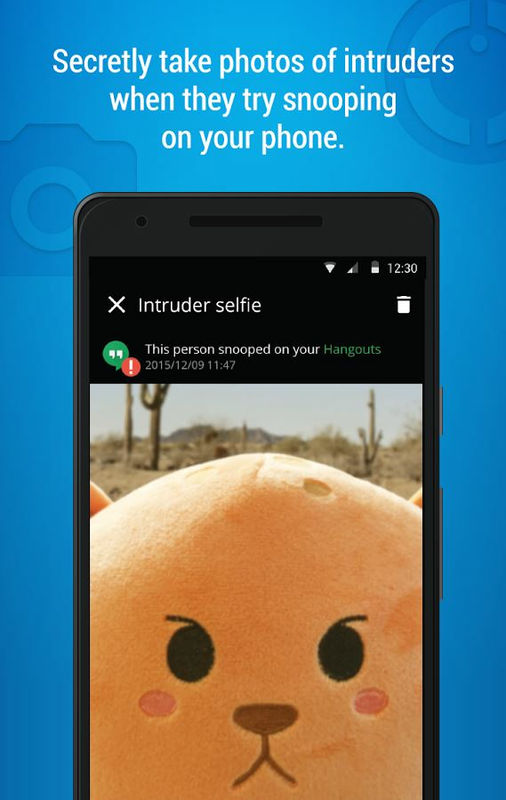 •	Intruder Selfie – captures a photo of the person who incorrectly enters your password (pattern or PIN code). This photo is saved to your device and emailed to an address that you specify, including information about which app the intruder tried to access. •	Wi-Fi Security - warns against malicious Wi-Fi hotspots, provides real-time network speed test, boosts and optimizes speeds, and has free Wi-Fi connection in the top 100 airports. •	Scan Files – scans apps, the file system, and SD cards to keep your device safe from viruses, Trojans, vulnerabilities, adware, malware, and spyware. 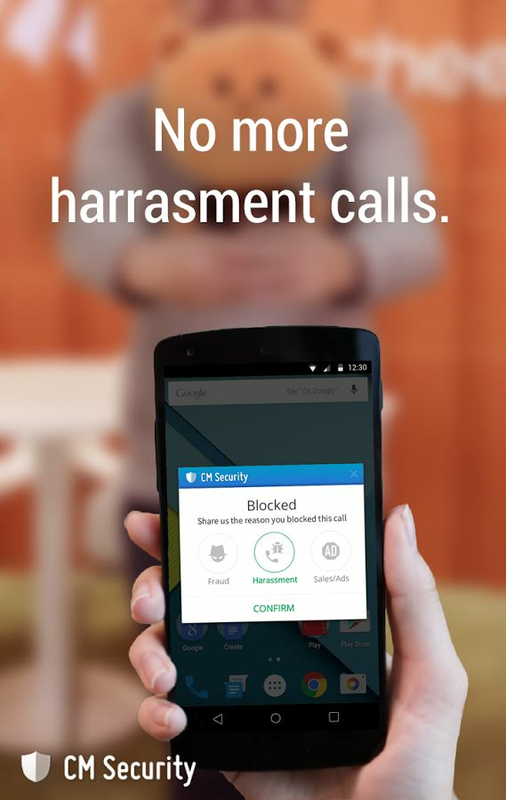 •	Caller ID & Blocking - prevents harassment by blocking unwanted phone calls. •	Private Browsing - blocks malicious URLs and protects your device against phishing websites with instant warning notifications to enjoy safe browsing. 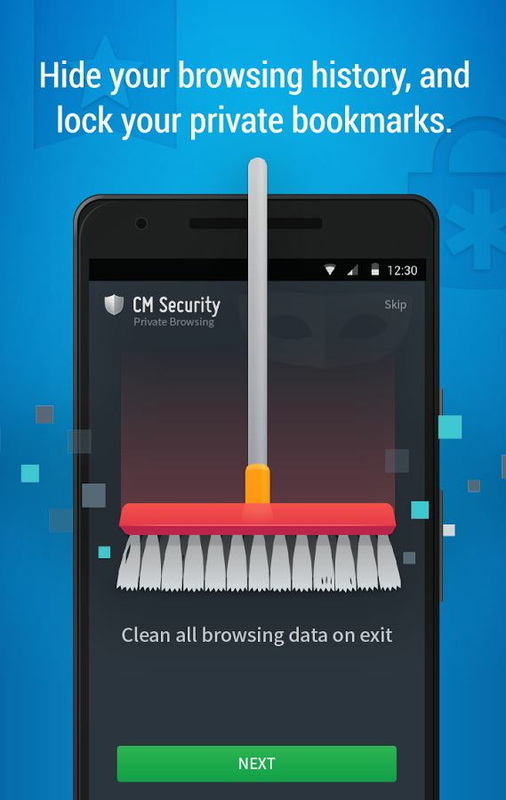 It also cleans all browsing data on exit. •	Find Phone – helps you locate your device on a map, lock it, and make it yell loudly so that you can find it.